Push the left end of the lamp assembly toward the right. Turn the lamp assembly down to remove it. 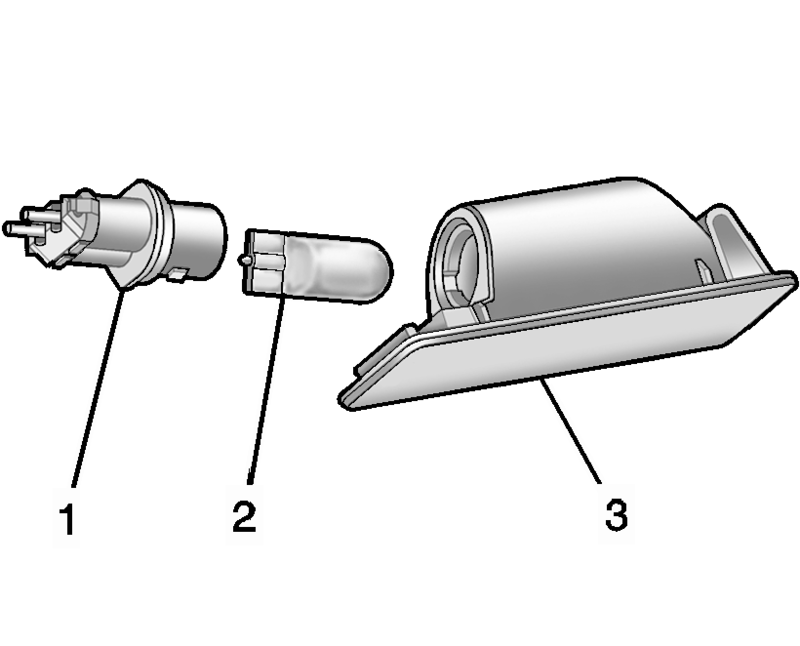 Turn the bulb socket (1) counterclockwise to remove it from the lamp assembly (3). Pull the bulb (2) straight out of the bulb socket (1). Push the replacement bulb straight into the bulb socket and turn the bulb socket clockwise to install it into the lamp assembly. Turn the lamp assembly into the lamp assembly opening engaging the clip side first. 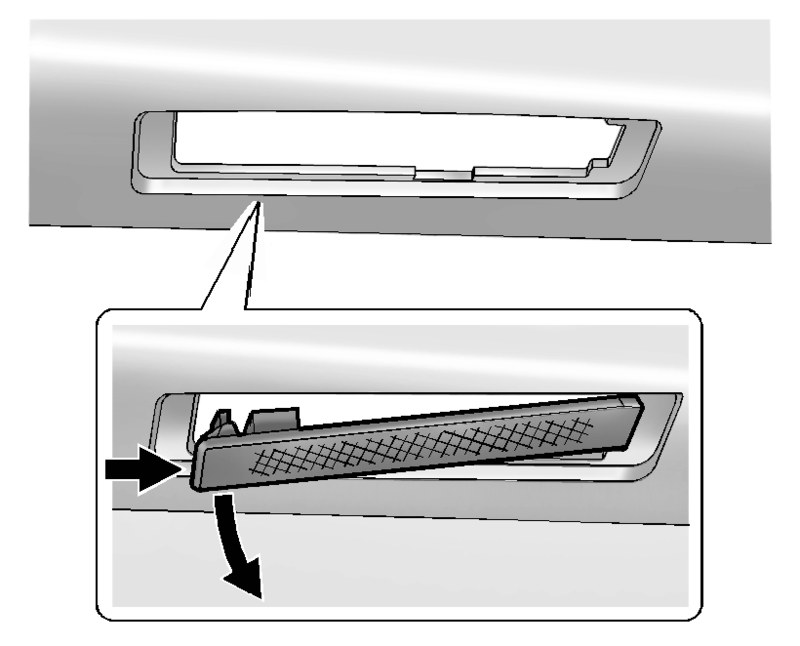 Push on the lamp side opposite the clip until the lamp assembly snaps into place.